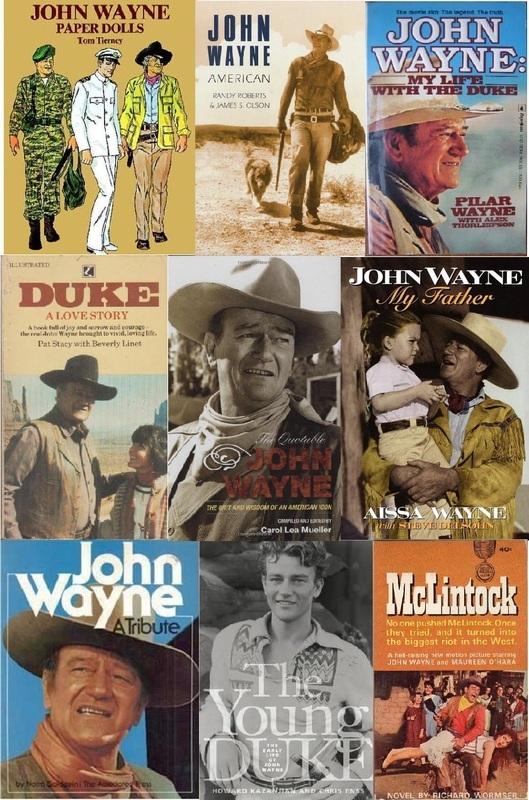 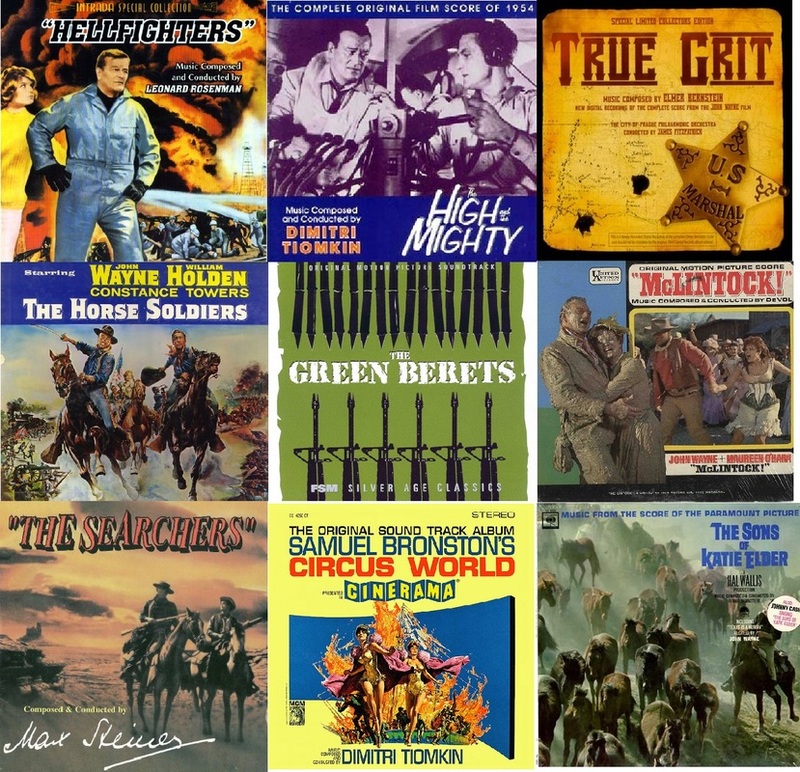 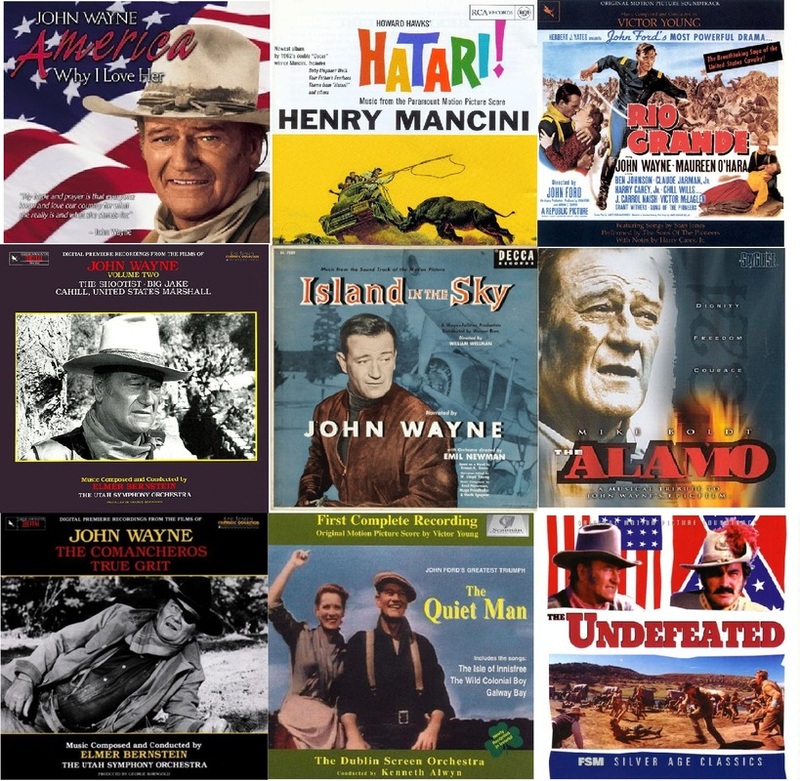 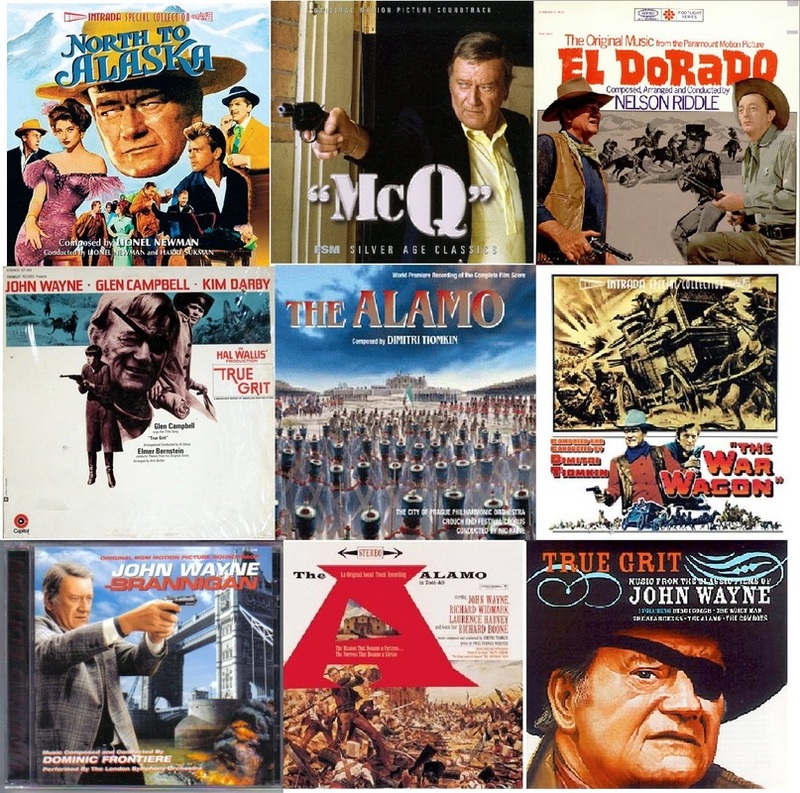 Here you can check out a few of the items I have in my John Wayne collection. 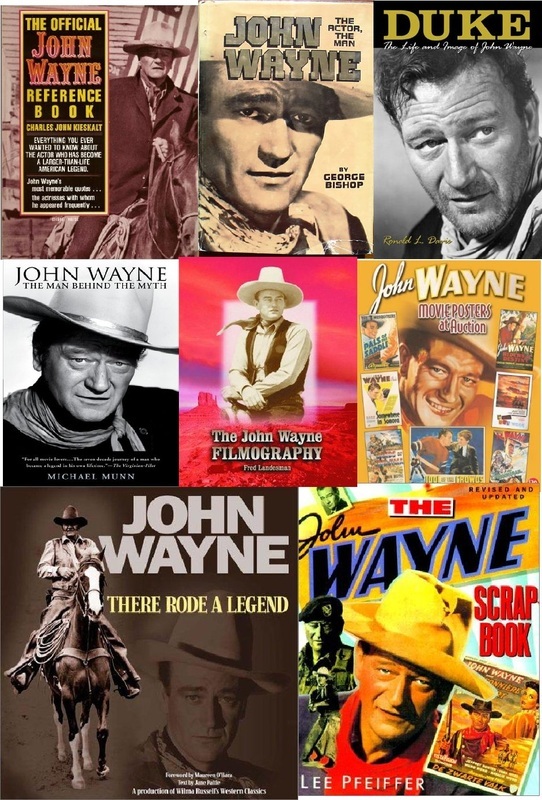 If you would like to have a list of what I have in my collection, I am including a pdf file at the bottom of this page, which can be downloaded. 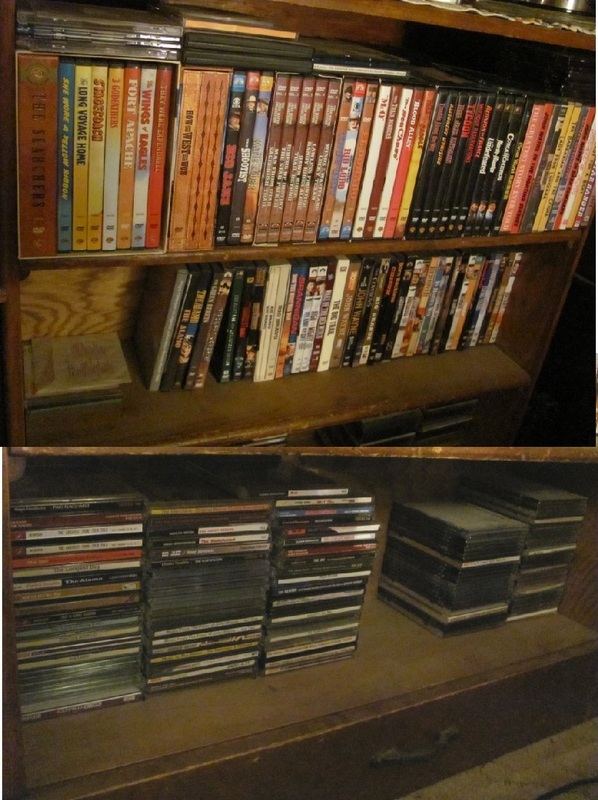 Please note, I am not selling anything in my collection, although I do trade items when I have duplicates. 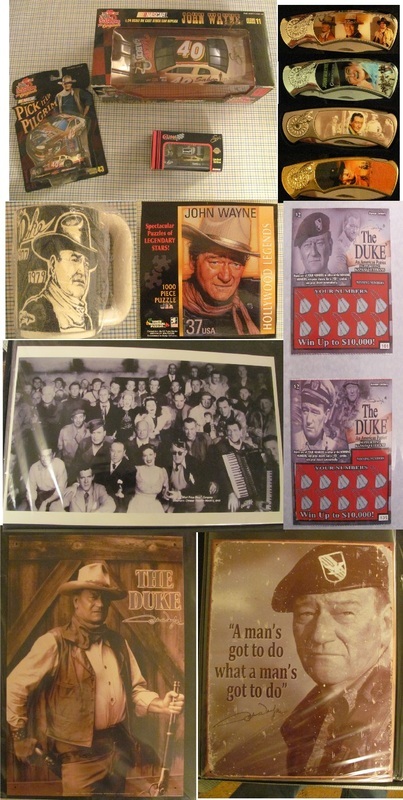 I also put my duplicates up for sale on the "store" page of this website. 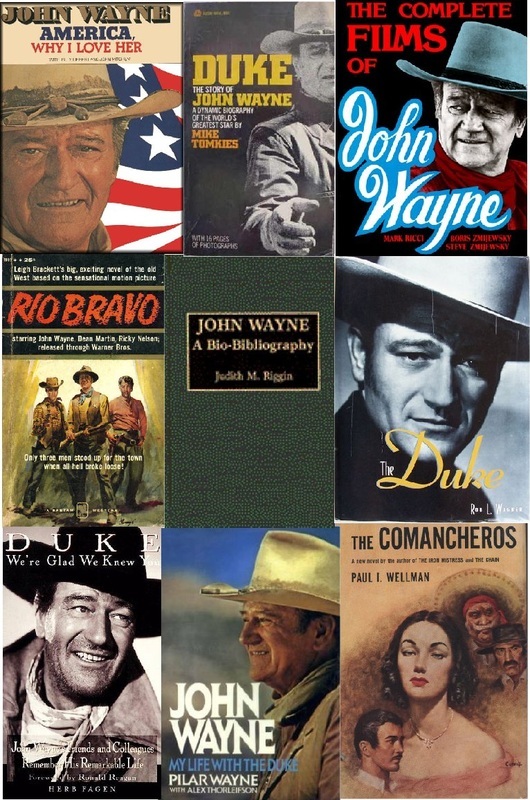 Here are a few of the books I have in my collection. 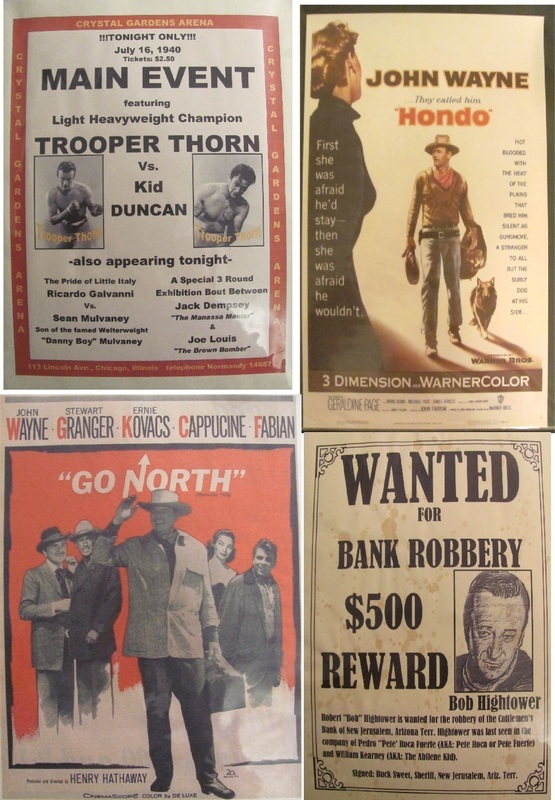 Here is a sampling of some of the collectibles in my collection. 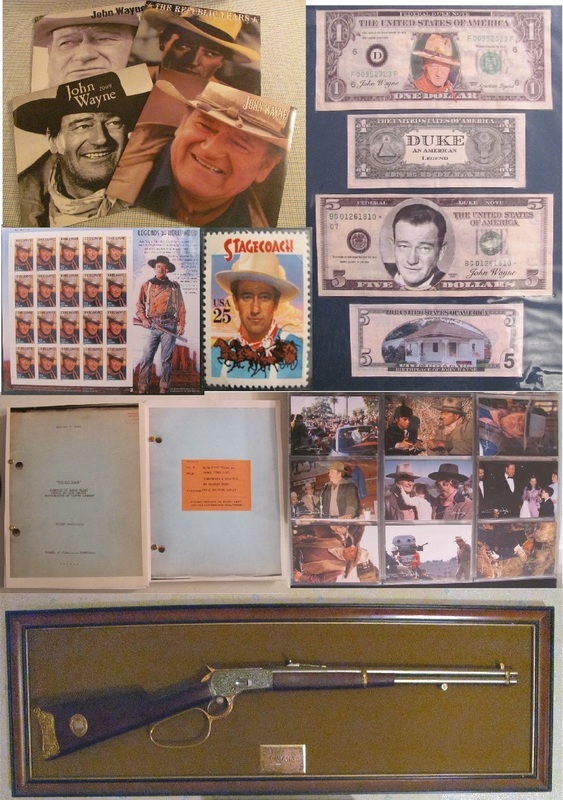 The pictures are not to scale, but I tried to enlarge some of the smaller items (like the Stagecoach stamp) so you could see them. 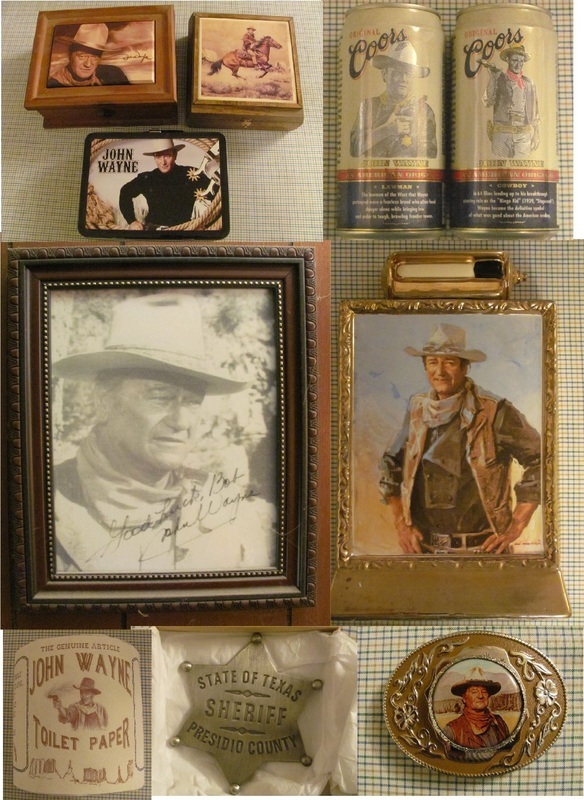 Some of these are one-of-a-kind items, like the coffee cup with the black and white image of John Wayne. 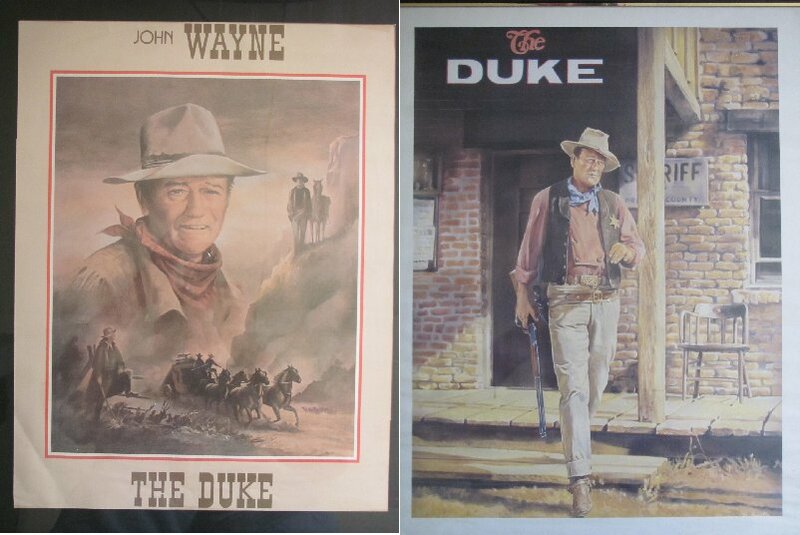 The artwork on that cup, it is a plastic cup, is all hand done scrimshaw with ink and a straight pin. 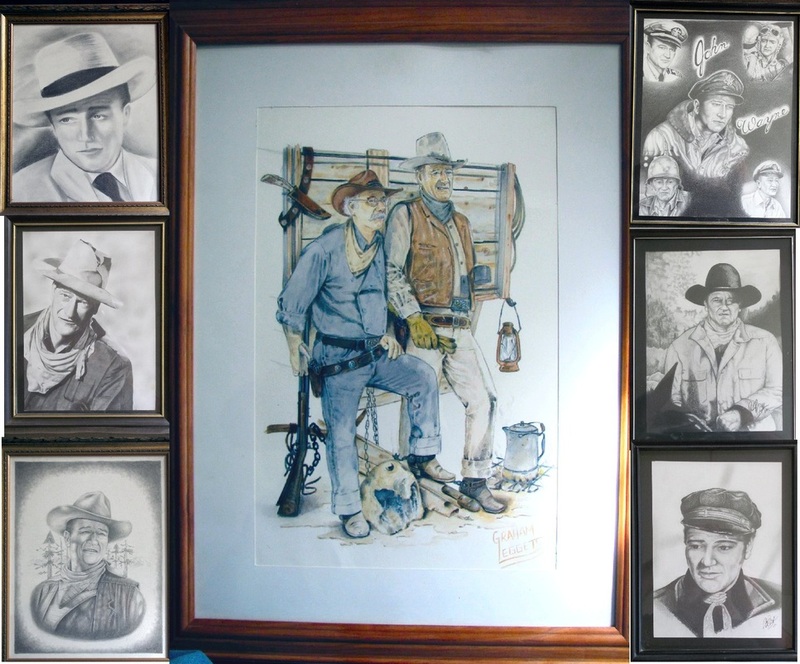 Over 80 hours of work! 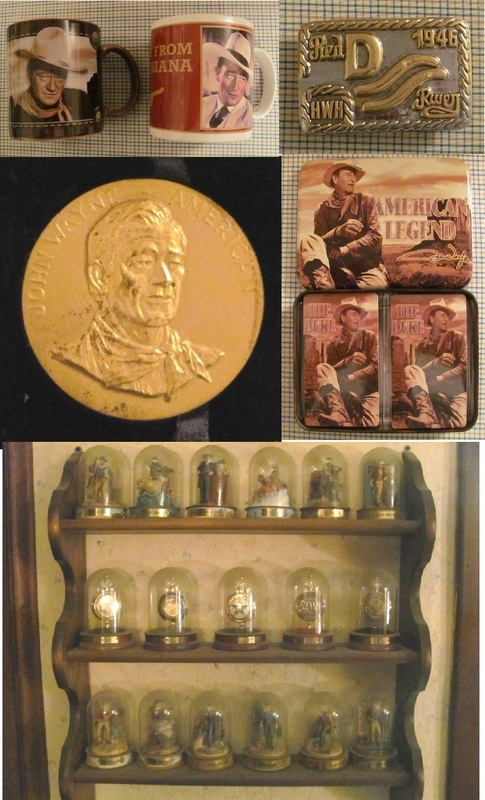 The "John Wayne American" medallion is a full size replica of the medal issued by Congress to John Wayne. 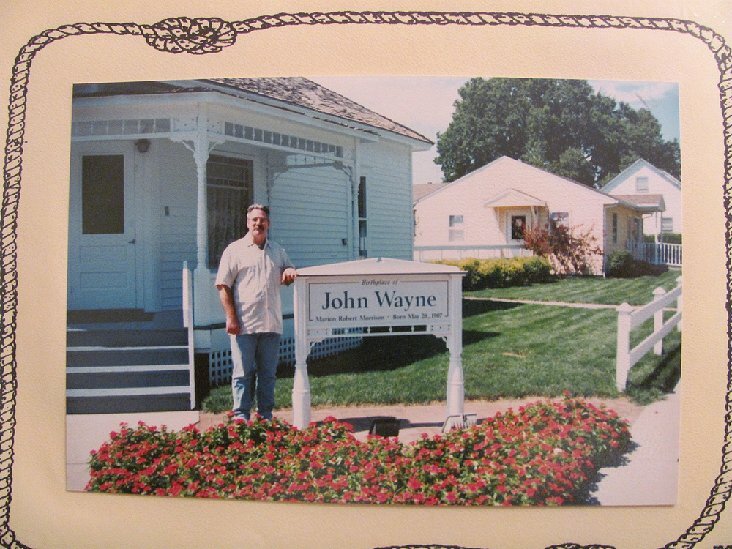 Me at the John Wayne Birthplace!